Ghana is committed to making family planning free in the public sector and to supporting the private sector in providing services. Services will be available for young people through youth promoters and adolescent-friendly services. Improved counseling and customer care will be prioritized. Contraceptive choices are being expanded to include a wider range of longer-acting and permanent methods, along with task shifting options and improvement of postpartum and post abortion family planning services. The government has put in place a comprehensive multisector program to increase demand for family planning as a priority intervention in the MDG 5 Acceleration Framework, including advocacy and communications to improve male involvement, such as the “Real Man” campaign. 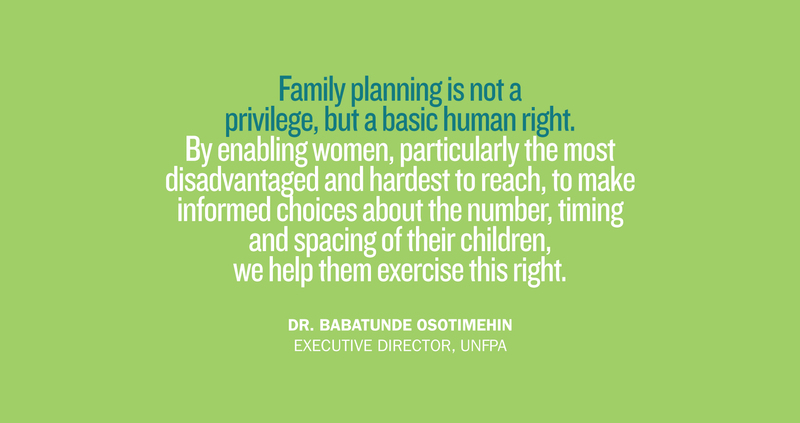 Ghana has a diverse and inspiring range of family planning and maternal health programs. The city of Tamale, for example, has a brand-new Marie Stopes clinic situated in the middle of an enormous open-air market. Fully stocked with a range of family planning information and modern contraceptive options, it makes access easy for the women who work in the crowded midday market. Worlds away from the bustle of the city, there are clinics such as the one Planned Parenthood of Ghana, built in an isolated village north of Bolgatanga. It offers an integrated mix of family planning and other health education services. The local people are proud of their clinic. It is their only source of medical care. Not long ago, UNFPA Ghana welcomed a delegation of leaders at the isolated clinic. To get there, they rode by bus from the nearest city for three hours on unpaved roads. The delegation was greeted with enthusiasm and excitement. About 200 people—village elders, mothers and fathers, grandmothers and grandfathers, children—had come out to show support for their clinic. They talked about the difference the clinic was making in their lives. As the delegation toured the facility, they happened to notice one person who wasn’t taking part in the excitement. Her name was Afia, pictured here, and she sat very quietly in a corner, on a hard, wooden bench. A midwife was by her side. Afia’s face was etched in pain, but her cries were muted. With quiet dignity, and few of the trappings that attend births in wealthier countries, they found out she was in labor to deliver her first child. She had reason to be scared. In Ghana, for every 100,000 women who go into labor, 350 die while giving birth or because of pregnancy-related complications. The following day, the delegation learned that Afia had had a lovely baby girl, and both mother and child were happy and, most importantly, healthy. In the coming months and years, the Planned Parenthood of Ghana clinic will help Afia keep herself and her baby healthy, and will give her the information and contraceptives she needs to plan her family and her future. 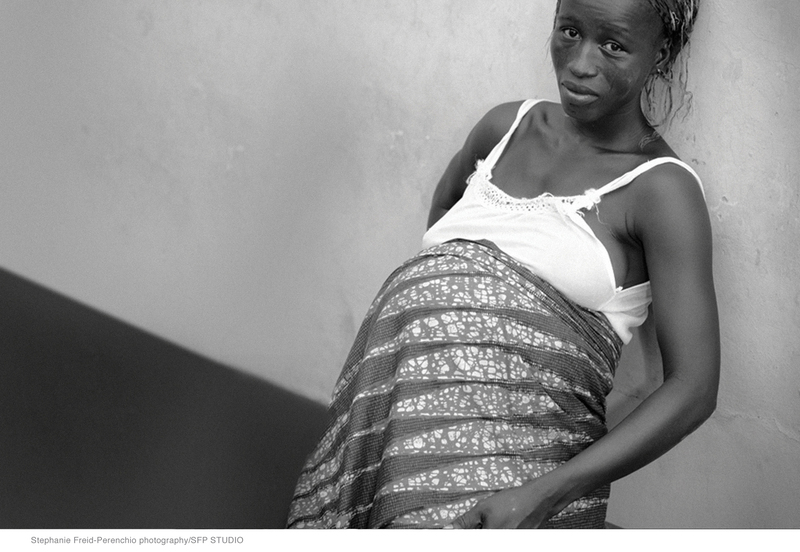 The Planned Parenthood of Ghana clinic will help Afia keep herself and her baby healthy. For a closer look at progress in Indonesia and Uganda, read more on page 24 and 26 of the Partnership in Action report.